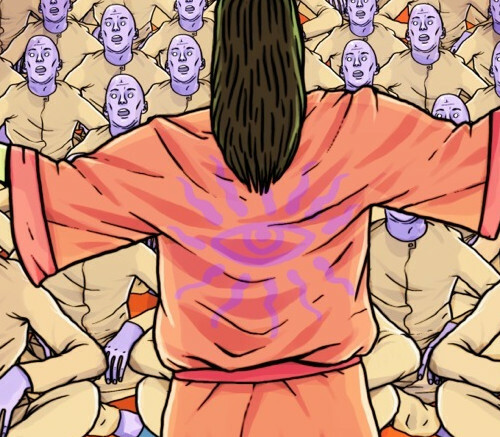 What makes them a cult? 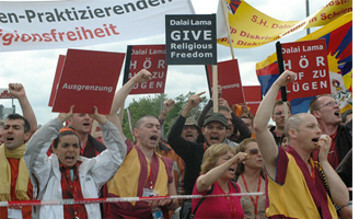 In 1996 HH The Dalai Lama did not ban (he has no powers to do so) but advised his followers to stop propitiating a spirit known as Dorje Shugden, on account of issues concerning sectarianism and spiritual ethics. The NKT obsessively spread this 'spirit worship' and accuse The Dalai Lama of banning the practice and restricting their religious freedom because he opposes the practice. They follow him to his public teachings where they conduct extremely loud and intrusive demonstrations. The NKT claim to be the only Buddhist organisation offering “pure Buddhism”. They despise the Dalai Lama principally because he rejects their purist sectarian supremacist attitude and the Shugden practice which embodies it. It should also be noted that although the NKT deny any links to China, their hate campaign against the Dalai Lama, echoes Beijing propaganda precisely. It is also proven that the few Tibetans that associate with the NKT campaign have clear links and loyalty to the brutally repressive Chinese government. NKT’s ambitious growth programme requires endless financial support and they always put the organisation’s needs above its members welfare. Thus unlike all other Buddhist groups, they don’t fund medical care for their U.S. nuns. Despite the NKT sitting on funds worth £20Million , this nun had to create a “Gofundme” page to get medical help. In a recent Bristol Post article, NKT Bristol centre’s resident teacher claimed that NKT are not the organisers of the anti-Dalai Lama hate campaign - but rather it is the ISC. Yet all ISC’s spokespersons are senior NKT teachers, including Kelsang Lekma (Lisette Salari) of Thekchen Centre, Southampton. Go figure! NKT claim that the Dalai Lama is “The worst dictator in the modern world”. They create and disseminate photoshopped images of him to degrade and insult him, such as depicting him as a pig. 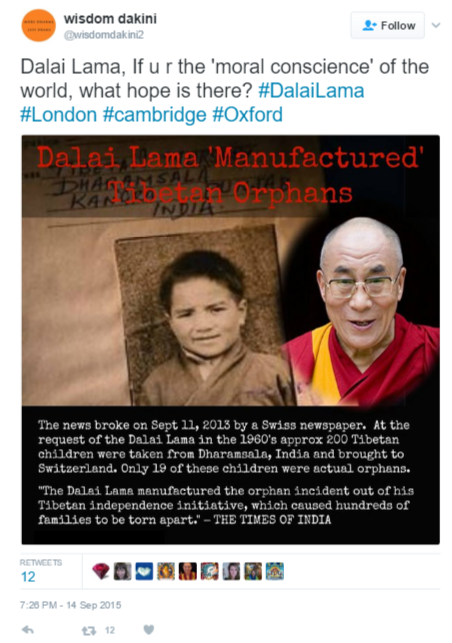 This is deeply offensive to the sentiments of the millions of Tibetans and others who revere the Dalai Lama. The New York Times recently described NKT as a “militant sectarian” group who “stalk the Dalai Lama” wherever he goes and Reuters has exposed the NKT as part of religious sect which has been “co-opted by China in a global effort to smear the Dalai Lama”. No independent body has found a genuine basis for their attack on the Dalai Lama - their alleged reasons appear to be just a smokescreen for political and sectarian motives. We are a group of concerned relatives and friends of those effected by an extremist religious sect known as the New Kadampa Tradition (NKT) who operate Thekchen Kadampa Buddhist Centres. By creating this website, we hope to create a hub of information and support for victims, past, present and potential.